This has not been a great year. My husband got laid off from his crappy job with a long commute (30 miles. Through a winding canyon. Full of looky-loo tourists. Took him an hour each way) thanks to Obamacare. I was worried- I can’t even tell you how desperately we needed that income, but within a week of getting the news that his contract wouldn’t be renewed he was in the beginning stages of starting a new job. A better job. A really good job, actually. So we rejoiced that God hadn’t let us find a new home where Ron’s crappy job was; meaning we would have been stuck there and he would have had the same long commute each day, just in the opposite direction each way. And we started looking for a new home here in Loveland. I was so happy that we would be able to move into our own place and start living our life as a family in better times again. I was elated that we would be able to give our kids some really good Christmas gifts and that we would be able to give them the one thing they truly wanted: our own home again. Notice a theme? Our own home. We have been in this situation too long. And every time we start to get back on our feet they get knocked out from under us again. This time was no different. Once again, thanks to Obamacare, Ron got laid off. Only this time we were blindsided. He went to work, normal as could be, on a Monday and on that Tuesday morning he walked in and they told him that Monday was his last day and they were awfully sorry. We are now in the process of looking for a new job for Ron as well as considering attempting to get him trained for something so he can bring in a good income instead of struggling just to pay basic bills. That being the case, our gift fund is at exactly $0. Holiday cheer has been thin on the ground this year. Anyone else out there struggling to be merry this Christmas? This is such a hard time of year for so many people- for so many reasons. I know full well we aren’t the only ones. Sometimes we all need a little holiday boost- whatever the holiday. And sometimes that boost needs to involve liquor. Don’t get me wrong: I’m not saying “turn to booze!” I was married to an alcoholic at one time- I know better than that. But sometimes we all need the warm fuzziness of a hot mug of sweet, spicy, tinglyness-inducing holiday cheer. This SO fits the bill! Nothing outlandish, nothing too fancy, just holiday cheer you can hold in your hands. Surprising? It was for me when I finally looked up the recipe for hot buttered rum. I always thought it would be more complicated than that. I was very happy to learn I was wrong! You don’t HAVE to add the spices; in the original version from American Colonial times they were only added by the well to do because spices were still pretty pricey. But the spices definitely add a nice touch so I always add them. To make a mug of hot buttered rum just mix 1 tablespoon of the batter with 8 ounces of boiling water (or apple cider- it’s awesome with hot apple cider!) and 3/4 – 1 1/2 ounces of spiced rum. I use the lesser amount but use what you like. Stir it all together well to melt the butter and dissolve the sugar and you’re done. Drink this slowly while you’re watching the snow pile up outside or while you watch one of the myriad Christmas movies that are all around us this time of year. Hopefully before you get to the dregs at the bottom of the mug you’ll have been lifted out of any kind of funk you’ve been in and back on the road to Christmas cheerfulness. 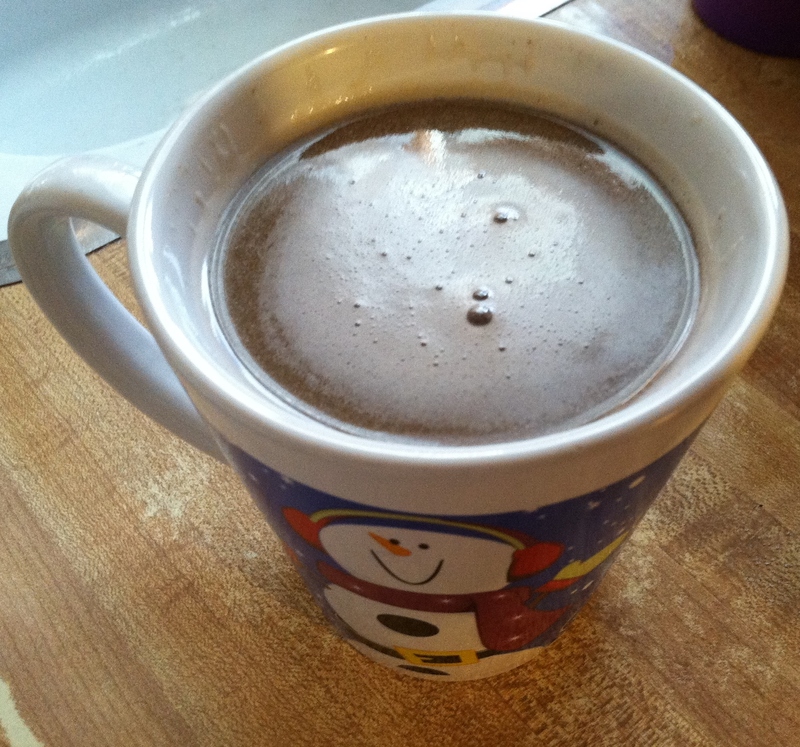 Let this beautiful little mug of sweetness & spice remind you of all the things that are truly important at Christmas. And share with those around you- you never know when someone else could use a mug of cheer as well. *Transfer to an airtight container. *Store in the fridge or on the counter. I keep mine on the counter because I keep my butter on the counter. I hate cold butter. If keeping butter on the counter creeps you out, store this in the fridge. *In a mug, combine 1 T batter, 8 ounces boiling water (or boiling apple cider), and 3/4 ounce to 1 1/2 ounces of dark, spiced rum. I use the lesser amount because I want to enjoy a cocktail, not get punched in the jaw with liquor. 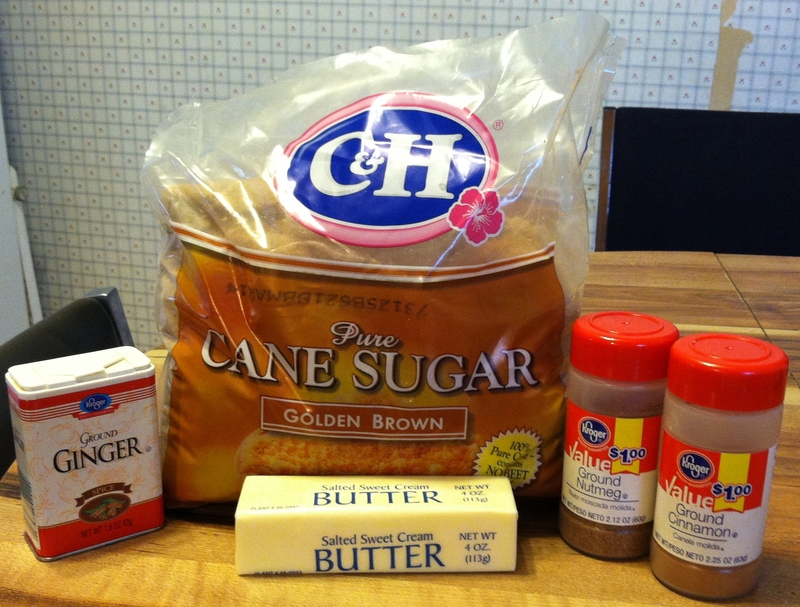 *Stir well to dissolve the sugar and melt the butter. This is a very special recipe. Really- it is! This is the recipe my husband asks for every single year for his birthday cake. My husband’s name is Ron (Ronald), which means “Ruler”. And as he is the leader of our household and the head of our marriage I’d say that makes him the ruler of this family! Ok, I’ll admit that that was maybe a little cheesy. But it’s all true and I do believe this cheesecake would make royalty happy! This is an incredibly basic cheesecake recipe; no lemon or sour cream. Just a plain vanilla cheesecake. But it is SO good! Rich and creamy with the perfect thick texture- and the plainness of it is the perfect palette for toppings. Ron is a purist and insists that any cheesecake he’s going to eat have cherry pie filling on top and nothing else. Well… maybe strawberry or raspberry puree, but that’s starting to push it. I myself, on the other hand, have no such purist leanings. 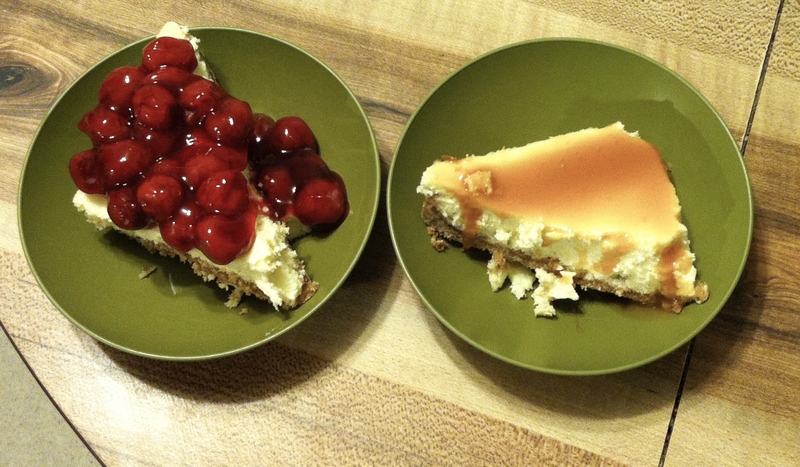 I’m not crazy about cherries in general so I usually scrape mine off and give them to Ron 🙂 I love lots of different flavors on and in my cheesecake: caramel, pumpkin, strawberry, blueberry, Snickers… anything but coconut and coffee, really! And this recipe is the perfect starting off point for all of them! As I said; this is a very basic cheesecake, so you want to make sure you have the best ingredients you can get your hands on- especially the vanilla. Being the only actual flavoring agent, the vanilla is very important. If you use cheap vanilla for this your cheesecake will taste like cheap vanilla and the results will be lackluster. This cheesecake is incredibly simple to prepare. The hardest part is making the graham cracker crumbs if, like me, you don’t have a food processor. And, currently, we are out of zip top bags, so I can’t even use the trick of crushing them with a rolling pin in a zip top bag. What I do in this situation is use a wooden rolling pin that is missing the handle on one side to pound the graham crackers into crumbs. Sometimes things get broken and become an entirely new tool! 🙂 You have to be careful when doing it that way because it’s easier to make a mess, but it works! 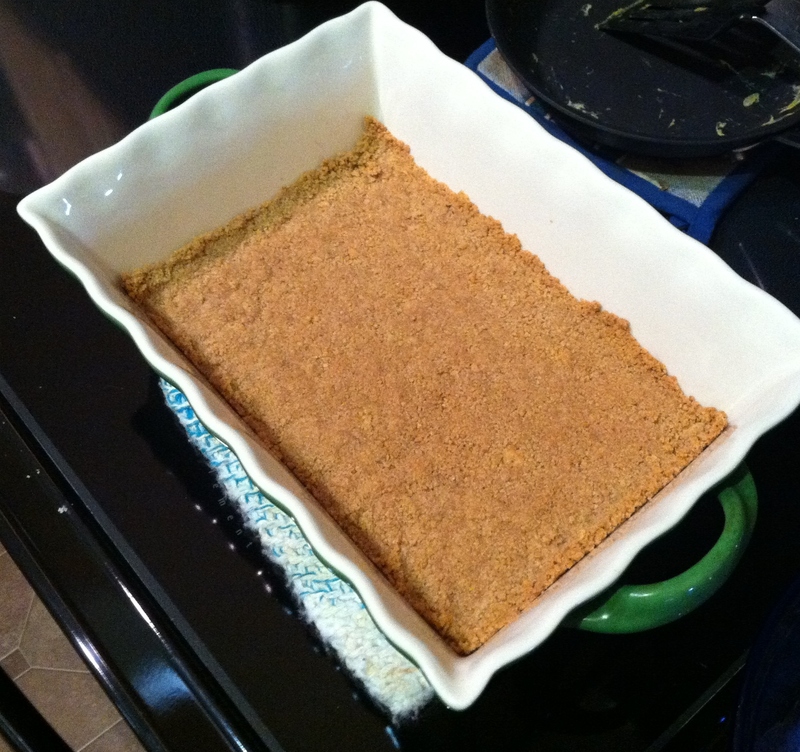 You COULD just buy graham cracker crumbs, but they are insanely expensive- it’s not that much trouble to make them yourself and you save a lot of money! Once you have your crust blind baked all you have to do is mix the filling & pour it in the crust. You will definitely need a mixer for the filling; cream cheese is a pain to beat by hand. Literally. I’ve done it before and my wrist hurt for 2 days afterward. So make sure your cream cheese is nice and soft and start beating it. I use my stand mixer (with the paddle attachment) for this because it’s a lot stronger than the hand mixer I have. Give the cream cheese a good beating and make sure it’s completely smooth. Stop the mixer a couple of times and scrape the sides and bottom of the bowl to make sure all of the cream cheese is beaten. See? No lumps. Lumpy cheesecake=yucky cheesecake. Seriously. Biting into a lump of plain cream cheese ruins the moment. Don’t let it happen to you. Now that you have perfectly smooth cream cheese, add the sugar and beat the heck out of it again. Stop & scrape the sides at least twice to make sure get all of the sugar incorporated before you add the eggs. Don’t be afraid to over beat the filling at this point- you want to make sure it’s smooth & well mixed. Very pretty indeed! Now there are two ways to bake this: with a water bath or without. I have an awful time with my cheesecake cracking either way. I’ve tried both ways several times and have always had my cheesecake get HUGE cracks (calling them “fissures” would not be a stretch) in the middle before it’s even done baking. 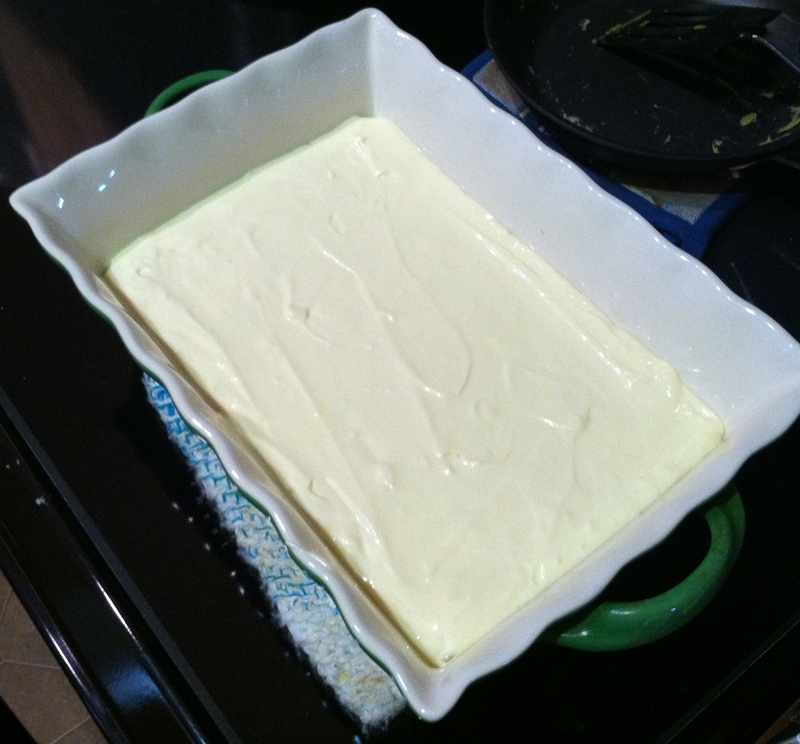 If you want to do a water bath, put the cheesecake in a pan that will fit into another pan with room to spare. If you’re using a spring form pan, wrap the outside of it with foil so water can’t get in. 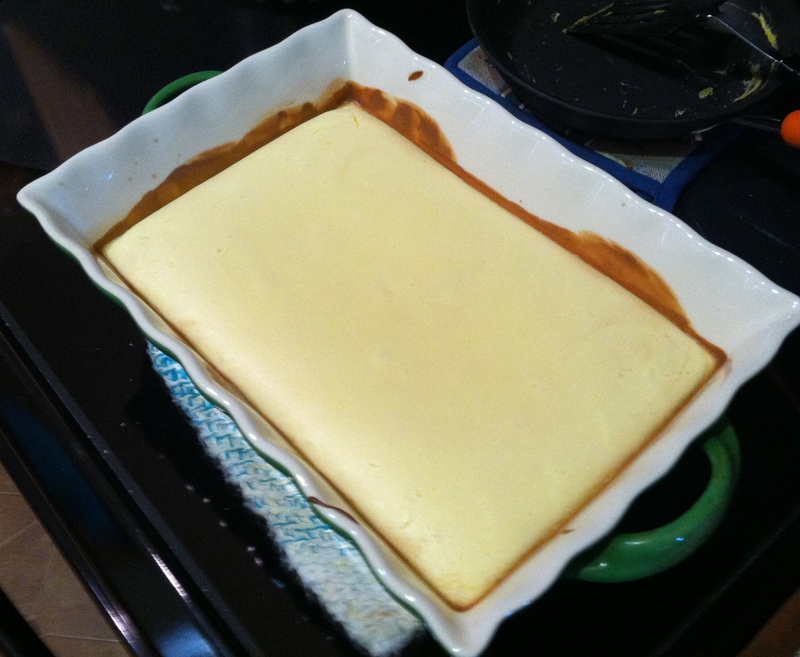 Set the bigger pan on the rack of the preheated oven, set the cheesecake filled pan in the bigger pan, and carefully pour boiling water into the bigger pan until it comes about halfway up the side of the cheesecake pan. Bake as per directions. Personally, I will be using the above pictured pan every time I make cheesecake from now on. It’s a stoneware 8 x 11 dish that my mom gave me as a gift. And the cheesecake didn’t crack while baking! I think it’s because the stoneware dish heats and holds heat more evenly. These are actually the last two pieces. I almost didn’t get a shot of the cheesecake with toppings. With 5 people eating on it, it barely lasted 2 days. I know the lighting is bad; this was taken at 8:30 at night. Sorry. We enjoyed these last two pieces with particular relish, as I won’t be making another cheesecake until Ron- my Ruler’s- birthday. My guess is when you try this cheesecake you’ll want it for your birthday too! *Heat oven to 325 degrees. *In a bowl, combine all ingredients well. *Pour into chosen pan and, with your fingers or the bottom of a glass or measuring cup, gently but firmly press the crumbs into the bottom and up the side of the pan (only about 1/2 an inch, depending on the size of your pan). 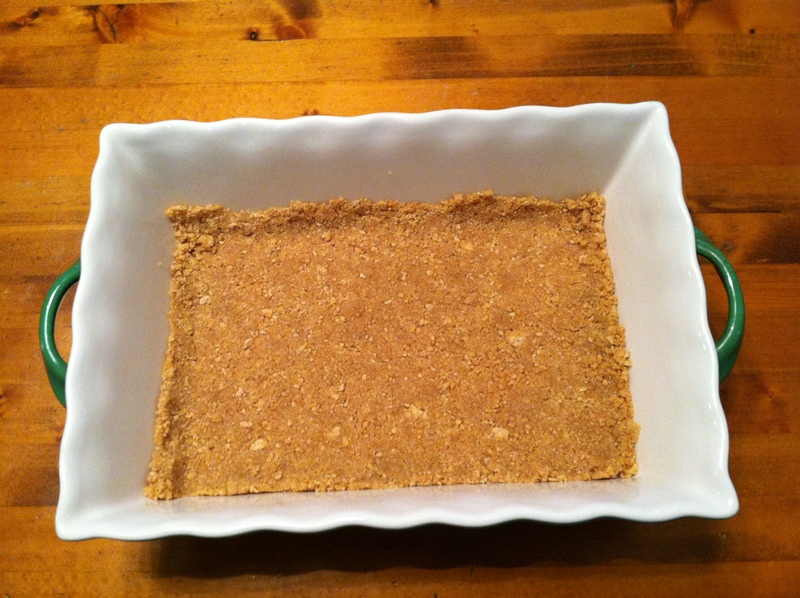 *Bake the crust for 10-12 minutes, until it smells of buttery graham crackers and is slightly more golden. *Take out of the oven and let cool at least 10 minutes. *Heat oven to 425 degrees. 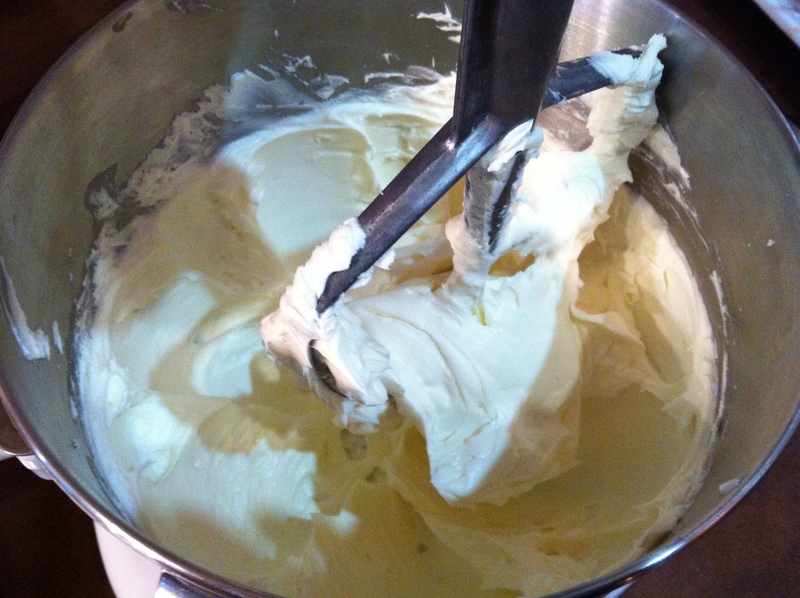 *In a mixer with the paddle attachment, beat the cream cheese until smooth. Be sure to scrape the sides and bottom at least once. *Add the sugar and beat again, scraping the sides and bottom at least twice, until the mixture is perfectly smooth. *Add the vanilla and then the eggs one at a time. Mix each egg into the batter completely and then scrape the bowl down after each egg. * Once as close to perfectly smooth as you can get it, pour the batter into the crust. *If you want to use a water bath, follow the instructions above. *Bake the cheesecake at 425 for 10 minutes, then lower the temperature to 250 and bake until the cheesecake is set in the middle and starting to brown around the edges. This could be anywhere from 35-45 minutes up to an hour plus. You’ll just have to keep an eye on it. *Once done, open the oven door and let the cheesecake cool for one hour in the oven. *Remove from the oven and finish cooling on the counter. 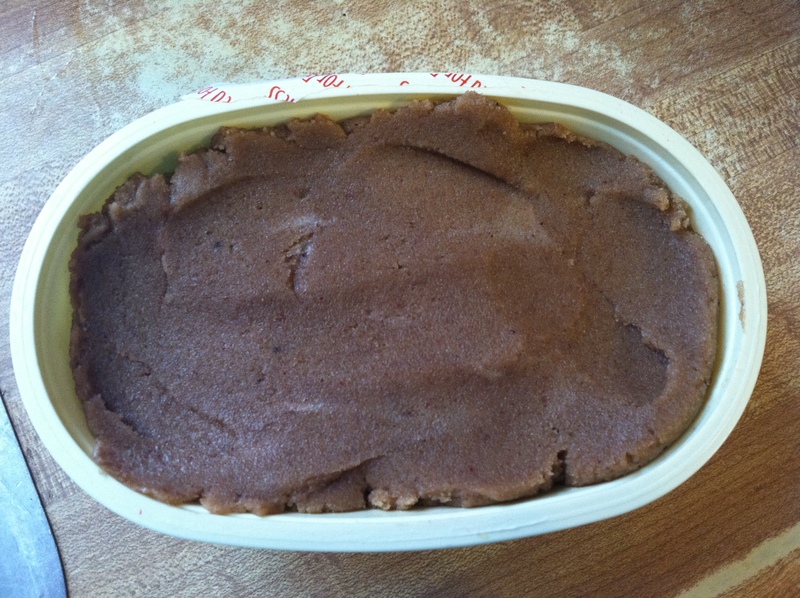 *Once completely cool, put the cheesecake in the refrigerator and chill thoroughly. *Slice and serve with desired toppings. Or eat it plain- it’s just that good! 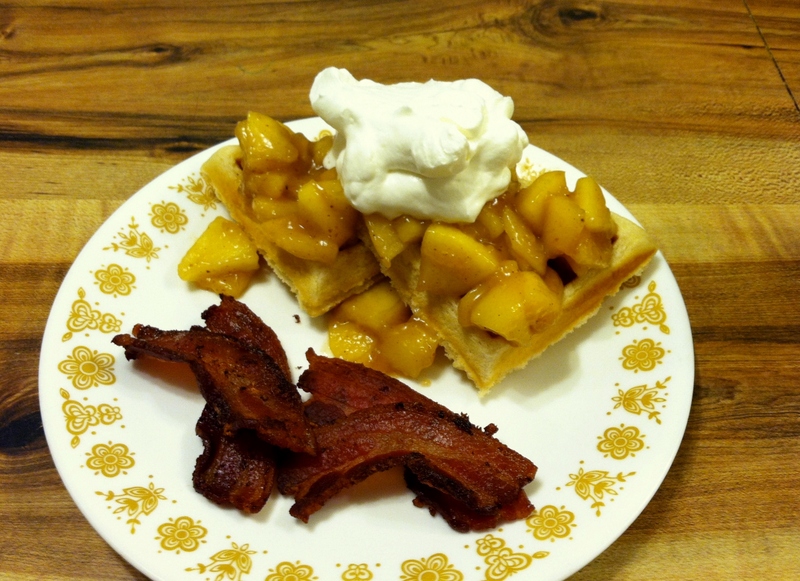 Really this is more of a method post instead of a specific recipe post- you could make this dish with frozen waffles and canned pie filling if you really had to, but using all homemade is so incredibly good that I BEG you to not go that route! And making waffles at home is so easy and so satisfying! 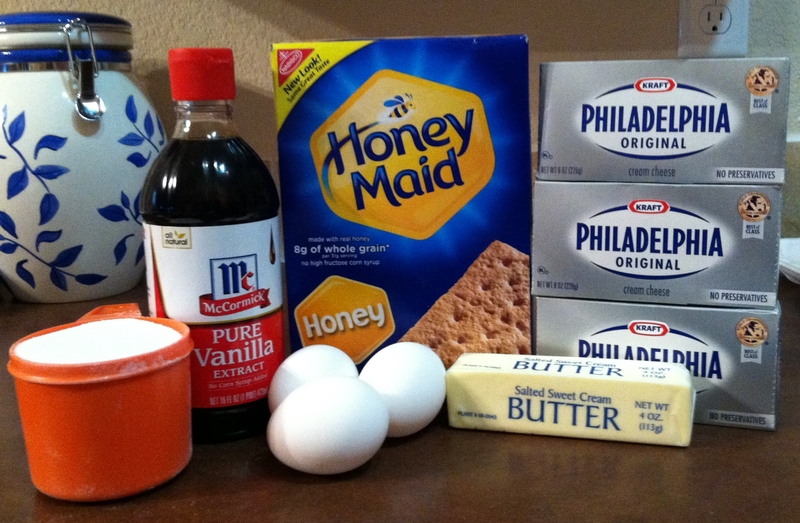 The same goes for the pie filling- store bought has nothing on homemade! So I’ll include the recipes below to make things a little easier. You can make the waffles or the pie filling first- it really doesn’t matter (Oh- and blueberry pie filling is amazing over waffles too! Don’t limit yourself to just apple.). One reheats just as well as the other so you don’t have to worry about having one ready & waiting for you before you start the other. This dish really is much easier than it sounds! In all honesty you could use pancakes or crepes for this recipe just as easily as the waffles but we love waffles in my house so that’s what we use. And, incidentally, the recipe I’m going to give you makes such amazing waffles that my kids often ask for them plain– no butter, no syrup, no honey, no nothing. Please, please give it a go! So get your waffles waffled and your apple pie “filling” cooked and ready to go, then start assembling. If you decide to make Belgian-style waffles out of the recipe below I would recommend starting out with half or a quarter of a waffle; this is a very filling dish! 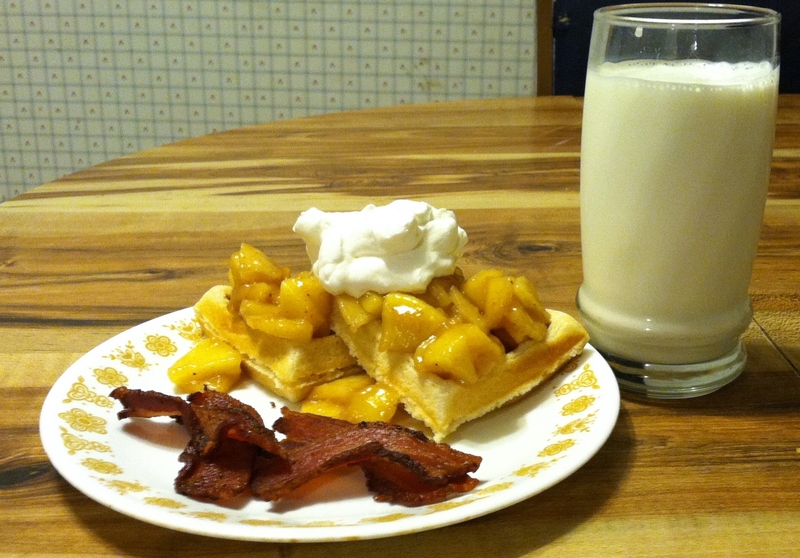 Make sure your waffles and your apples are hot and then spoon some “filling” over your waffle, add some freshly whipped cream on top just before serving (it will melt QUICKLY!) and enjoy. *As I never have buttermilk on hand, the first thing I do is measure 4T white vinegar into a 4C measuring cup and add enough milk to bring it up to 4C. Let this sit 15 minutes & you’ve got buttermilk. *Add wet ingredients and whisk thoroughly. *Let batter rest while waffle iron heats up. *Once the waffle iron is hot, check the batter to see if you need a little more milk. If it doesn’t fall from the spoon in one smooth motion it needs a bit more milk. *Make waffles according to your irons’ directions. *This recipe freezes very well. If you make thinner waffles (not belgian style) you can even put them in the toaster just like store bought- only these are MUCH better! 4 Large Apples, sweet or tart, depending on your preference. I use sweet apples. *Peel, core, quarter, and slice apples. *Add the apples, sugar, and spices. *Cook, stirring occasionally, until apples are to desired doneness. If you’re using these for this recipe you can leave them crispy or cook them until they’re soft- whichever you prefer. If you’re using this for an actual apple pie, leave them a bit crispy. *Combine cornstarch and 1/4C apple juice to make a slurry. *When apples reach desired doneness, add the slurry and stir through the apples. *If the mixture is too thick (is seized up and too stiff) add more apple juice, a little at a time, until the filling is looser and spreads easily. *Serve warm over waffles, pancakes, or ice cream. Also works well as a filling for crepes or even a pie. *Store leftovers in the fridge for up to 5 days.